The wondrous Brooklynites Yeasayer have returned to give us a taster of what album two, 'Odd Blood' is going to sound like. And it's brilliant! Building around the "Stick up for yourself son, never mind what anyone else has done" refrain, it's pretty much what Passion Pit would sound like if they covered Prince. An amazingly dynamic psychedelic pop extravaganza. The new album can't come soon enough, quite frankly. 'Odd Blood' will drop in February 2010. 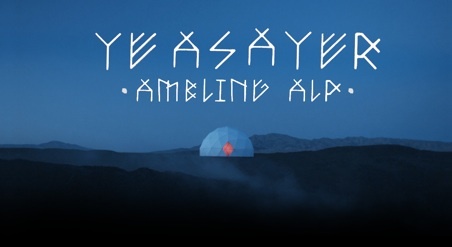 In the meantime check out the ltd ed deals (including t-shirts and 12" vinyls) that Yeasayer are doing for the 'Ambling Alp' release here.